The taste of a peach recalls from the memory the swing and slap of a closing screen door, the lazy hum of insect wings, and the feeling of sweat cooling on top of sun-warmed skin. Peaches are juicy, sweet, soft, and fuzzy. Peaches are gracious, delightful, witty, and spirited. 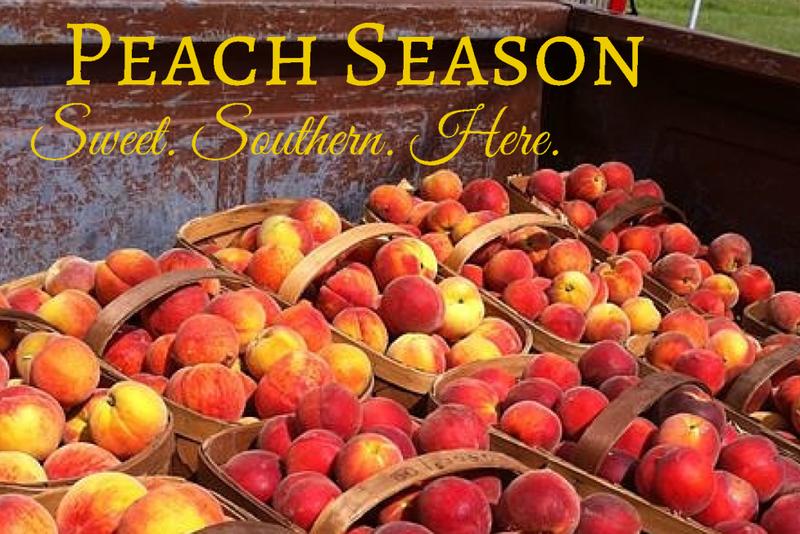 And at Thompson Orchards in Johnston County, the peaches are ripe. Thompson is locally owned and operated, located in Four Oaks, NC at 4301 US Highway 701 South. Today through Sunday is opening weekend for the season. 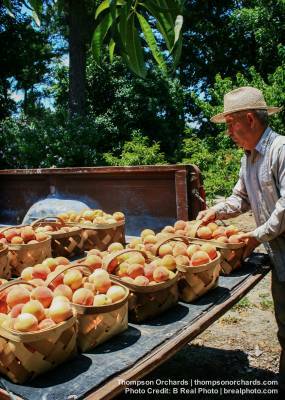 Thompson has peaches, produce, and even peach ice cream. You can check out their Facebook page here. It&apos;s getting hotter outside as the first day of summer approaches. Southerners know that a good way to cool off is with a frozen concoction. After you&apos;ve tried, and maybe re-tried, the delicious and creamy peach ice cream at Thompson Orchards try making your own. We&apos;ve got links to the recipes below. You love peach ice cream, but you&apos;re also trying to watch the ole&apos; caloric intake. Hey, we get it. Try making Frozen Peach Yogurt. Full flavor, but with less guilt. So you want a little more pizzazz in your peach. 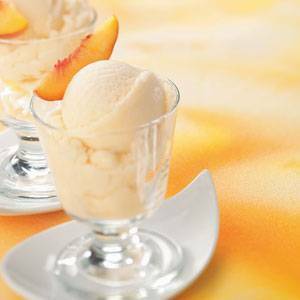 Try making White Peach Sherbet. Perfect for those humid southern afternoons and evenings. We guarantee that your taste buds will melt right along with this delightful dessert. We feel certain that a few of you are at this very moment lamenting your time constraints. You&apos;re supposed to be front porch sitting, pool side sipping, and just generally enjoying your summer. So, here&apos;s the quick (and healthy) way to feel like you experienced some sort of combination of peach and ice - Peach Smoothies. Plus, smoothies are in. If you have really given up on doing something peachy in the kitchen, and who could blame you, then here is the ultimate in I-don&apos;t-care-because-it&apos;s-summer peach recipes. A Peach Mojito. Don&apos;t tell us you&apos;re too "busy" to make a mojito. With peaches.